Opposition to a proposed effluent pipeline into the Northumberland Strait has moved from the shores of Pictou County to the Senate chamber. 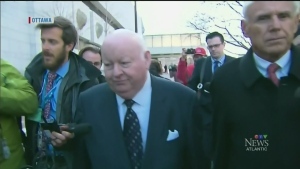 Duffy spoke on behalf of himself and three other independent Maritime senators. 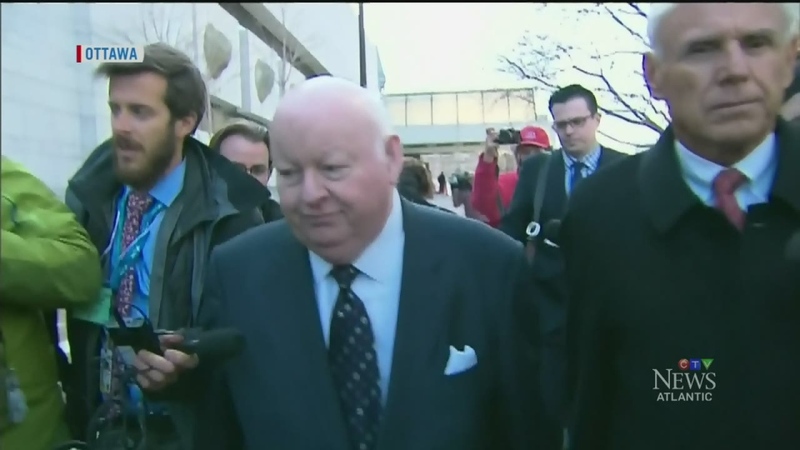 “Everyone wants to see jobs in the Maritimes, but not at the cost of a potential environment disaster,” Duffy said. A provincial environmental study will be carried out, but Duffy and the other senators say a federal assessment must be done. 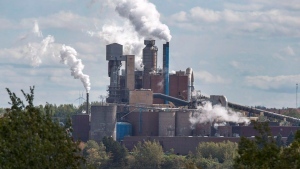 In a written statement, Northern Pulp says the proposed new system will see no untreated effluent leave their property. They say what emerges from the pipe will be non-toxic and will meet all federal environmental guidelines. It appears a growing number of people here don't believe it. Over the last few weeks, fishermen have been preventing a survey boat from mapping a pipeline route. They welcome the senators' support. Jill Graham Scanlan is president of the Friends of the Northumberland Strait Society. She believes having Duffy and celebrities like Ellen Page on board, can broaden the scope of public dissent. Meanwhile, Northern Pulp has said it's unlikely the pipeline can be ready for the January 2020 deadline. “Everyone wants to see jobs in the Maritimes, but not at the cost of a potential environment disaster,” Sen. Mike Duffy said.